This past weekend, Taiu (Co-owner) and Joanna (Manager), travelled to the Webs Knitting Retreat in Pioneer Valley of western Massachusetts. Over the three days they had the opportunity to meet and knit with 120+ knitters and crocheters from all over the United States. Friday Morning Koigu sponsored breakfast, where Taiu gave a talk on a brief history of the Koigu History as well as information on some of the most famous garments by Maie Landra. Retreaters had the opportunity to get up close and personal with some of Koigu’s most popular garments including: the Oriental Jacket, Viking and Gypsy. Retreater’s throughout the weekend took classes from world famous designers and teachers, including: Susan B. Anderson, Anne Hanson, Olga Buraya-Kefelian, Josh Bennett, Franklin Habit. Each meal was sponsored by a different Yarn company, and retreaters had a chance to hear from many other excellant speakers. 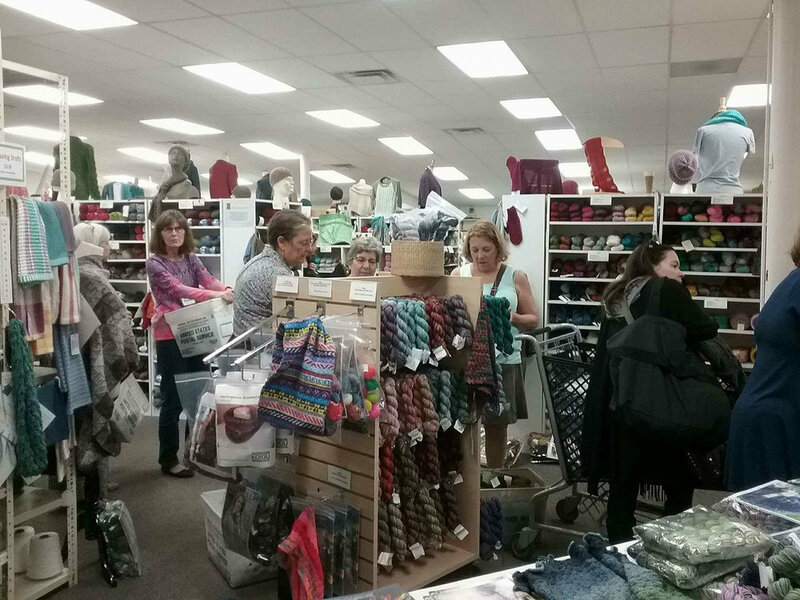 At the end of the retreat, retreaters had the opportunity to shop in the Webs store, with reps and trunk shows from many fabulous yarn companies. Taiu and Joanna had a fabulous time showing off some of Koigu’s most beautiful garments as well as helping pick the best colours for new projects! For more information on this year’s retreat visit Web’s. Look out for more information in the future on Web’s 2018 retreat!